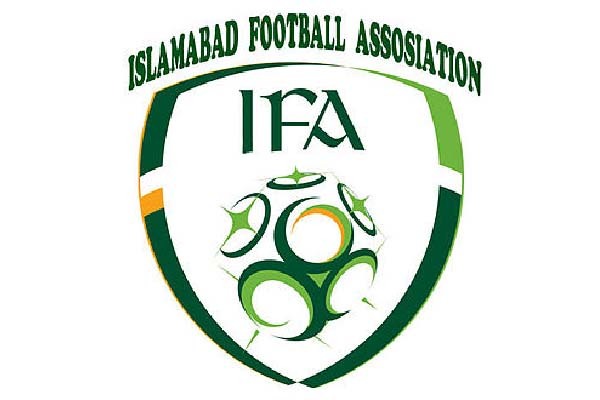 ISLAMABAD, Nov 1 (APP): A 22-member contingent of the Islamabad Football Association (IFA) after participating in China International Junior Football Tournament reached here at the Benazir International Airport from China on Tuesday. Speaking at the airport, General Secretary, IFA, Syed Sharafat Hussain Bukhari and Vice President IFA, Muhammad Zaman said for the first time in the history Pakistan got fourth position in the event. Sharafat said as many as eight teams participated in the tournament (four teams of China, two teams from Korea while one team each from Pakistan (IFA) and Germany). “Korea won the title while Germany secured second position in the tournament,” he said. He said that the performance of IFA team was good as players practiced in one week training camp. He said that all the players of IFA teams were under-17 while other teams players were under-19. President, IFA, Muhammad Saleem Chaudhry led the 22-member contingent while Haris Bin Haroon and Asif Hammad Malik, were the Manager and Coach respectively. Rana Tanveer Ahmed acted as Media Manager while the players comprise Rajeb Hassan, Amaan Janjua, Muhammad Zain Ali, Huzaifa Azhar Khan, Muhammad Waleed Khan, Monee Bur Rehamn, Shafiq Ahmed Awan, Azhar Hamza Wasti, Muhammad Anaaz Hussain Khan, Aimal Mahmood Khan, Hassam Mahmood Khan, Hammad Ijaz, Qammer Zaman, Syed Tanzeel Hussain Bukhari, Faisal Khan, Majid Ali, Abdullah and Hamza Rafique.